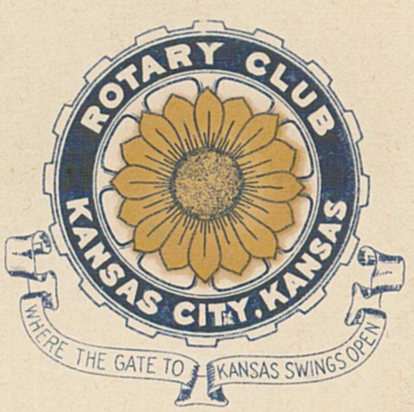 The Kansas City, Kansas Rotary Club was organized on November 2, 1915 and received its charter as Club No. 195 in January 1916. 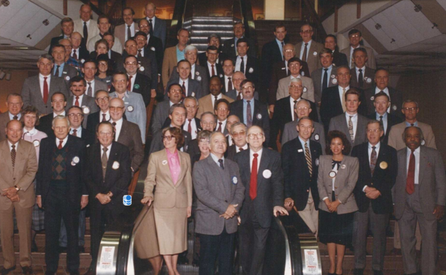 Its members take pride in more than 100 years of Rotary service to the community and to international fellowship. From this Club have come five District Governors and two Directors of Rotary International. 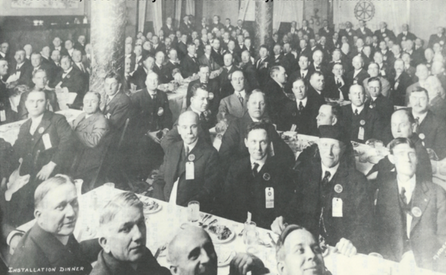 The Club’s history is as rich as that of the community it represents. Following the Lewis and Clark expedition which camped at the Kansas City, Kansas, this area became an important center for fur trappers. In the following years, many Indian tribes were relocated here from the East. In 1842 the Wyandot Indians acquired land here and founded a town. During this period, and for the next five decades, this area became the main gateway to the inviting majesty of the sprawling Kansas Prairie and the American West. This was where the frontier began. Pioneers found river transportation, outfitters and the beginning of the Santa Fe and Oregon Trails. After the covered wagons came major trunk railroads and barge lines. 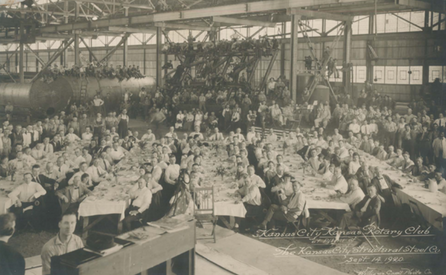 In 1886, Kansas City, Kansas received its charter as an incorporated city, combining the towns of Wyandot, Argentine, and Armourdale (Rosedale was added in 1922). Kansas City, Kansas is the site of the first industrial park in the United States, home of the prestigious University of Kansas Medical Center, University of Kansas Health System, the National Agricultural Hall of Fame, and the nationally recognized Kansas Speedway. Near the geographical and population centers of the contiguous United States, it is in the temperate latitudes at an elevation of 726 feet above sea level. The average rainfall is 35 inches. The average mean temperature ranges from 30°F in January to 80°F in July. The lowest recorded temperature was -23°F on December 23, 1989, and the highest was 113°F on August 14, 1936. Our city’s population of 145,000 and 155 square miles rank it 158th among cities in the United States. 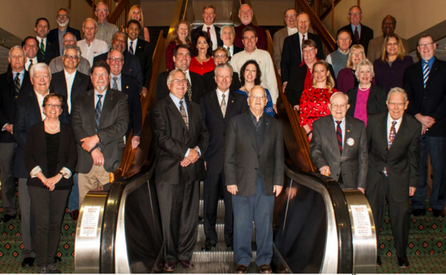 Welcome to Kansas City, Kansas Rotary, and the vibrant and diverse community it represents.